Barefoot Coaching Cards give you instant access to powerful coaching questions at home. These cards will help you start meaningful conversations, develop your relationships and get to know yourself and your loved ones better. From fun, family focused titles to coaching questions for life's big events, Barefoot Coaching Cards make brilliant gifts for many occasions. 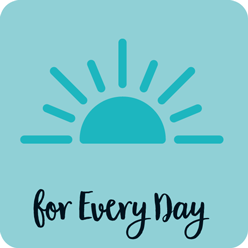 Help someone you love take five minutes each day to stop and work on their own well-being or connect with their family and friends in a new way.